The Living collection from Laufen features minimalist designs and defines ceramic in cubic form. Clear lines characterise this bathroom design with its strong aesthetic appeal. 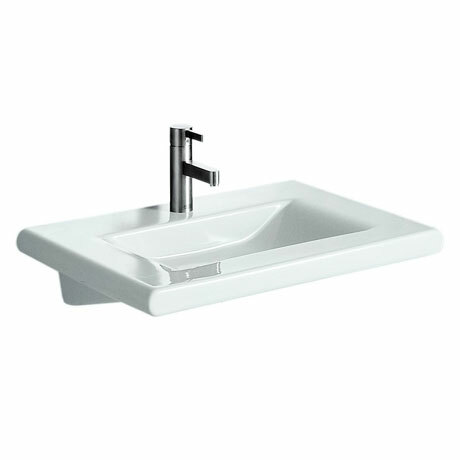 This stylish versatile 1 tap hole basin can be wall mounted or placed into a vanity unit, an optional towel rail can be fitted underneath the basin (sold separately). This basin will fit in perfectly into any contemporary bathroom. All Laufen sanitaryware is guaranteed for 5 years.